Sea fireflies in rabbit island(Okuno island). 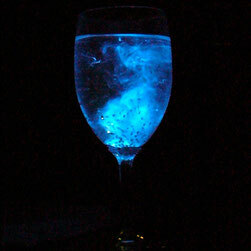 A hotel is there hold ''sea fireflies meeting'' almost every night, the staff explans and show us!! so beautiful!! we can see them some places in Japan.